Anglophiles of the streaming world, unite! On Wednesday, Hulu announced a huge content acquisition deal with BBC Worldwide North America to bring tons of British shows to your TVs, mobile devices, and desktops. There’s so much content, in fact, that Hulu is rolling it out in four stages for its $8-a-month Hulu Plus subscribers. The first batch is available now, and includes 170-plus episodes of various Doctor Who series and spin-offs. 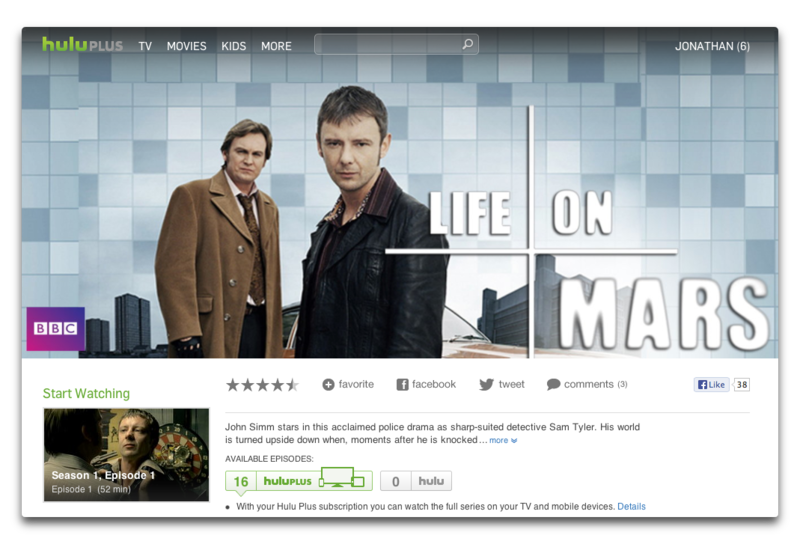 Also ready to watch are the likes of Primeval, Robin Hood, and Red Dwarf, as well as a favorite of mine, Life on Mars, which has until now been unavailable to stream from any U.S. service. Is Sam Tyler dead, in a coma, or did he travel back in time? Subscribe to Hulu Plus to find out. On September 24, Hulu will add ‘dramas and masterpiece classics’ such as Luther, the Benedict Cumberbatch/Martin Freeman Sherlock, Upstairs, Downstairs, State of Play, Wallander, and more. October 1 is comedies, with such classics as Absolutely Fabulous, Rowan Atkinson’s Blackadder, A Bit of Fry & Laurie, and Fawlty Towers. Finally, October 8 will bring what Hulu is calling ‘factual and natural history’ with Top Gear and David Attenborough’s The Blue Planet, The Life of Mammals, and The Greatest Wildlife Show on Earth. 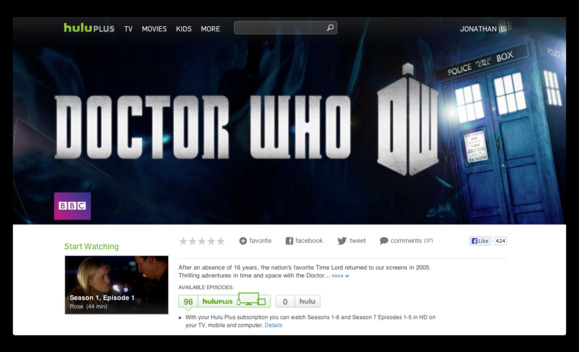 Hulu also notes that additional series will roll out through 2013, adding up to more than 2000 episodes from BBC Worldwide. And cheapskate (non-subscribing) Hulu.com viewers will have access to a rotating selection of free shows.